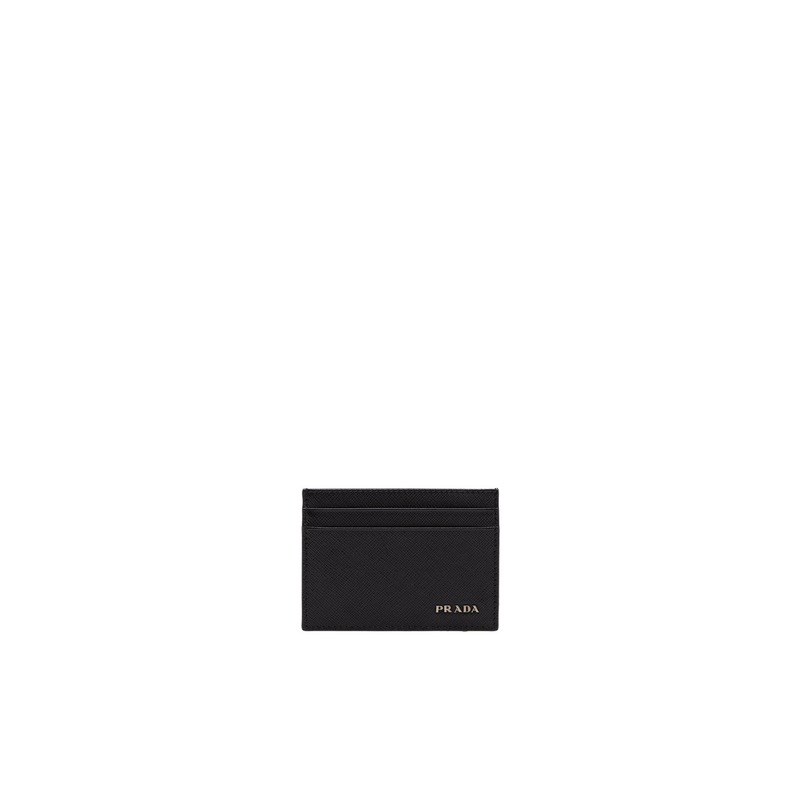 This slim card holder is built from refined Saffiano leather and has a compact profile. 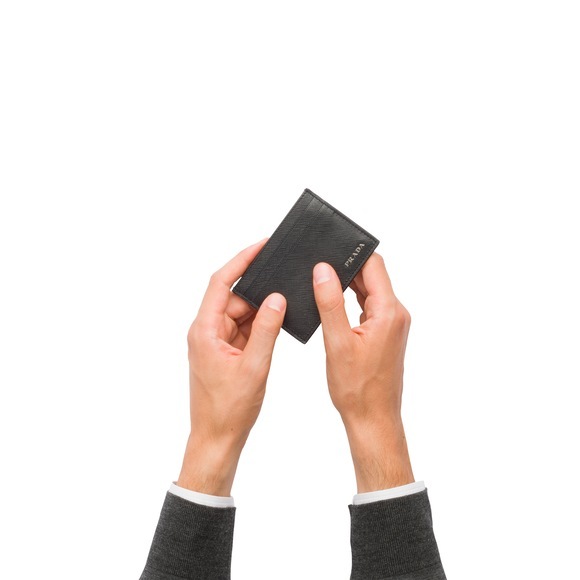 It offers four slots for business and bank cards. The item is embellished with metal Prada logo lettering.